A workshop to help K-12 educators utilize robotics as they teach STEM (science, technology, engineering, and math) subjects. This workshop will provide educators the opportunity to explore how they might use robotics in their own STEM instruction through interactive sessions as well as through presentations by other educators currently using robotics as a way to teach STEM. Representatives of local technology companies will also describe potential careers for students interested in robotics and STEM disciplines. 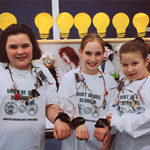 Artbotics is focused on learning about computer science, robotics, and art by creating interactive, public exhibits. A collaboration between UMass Lowell's Computer Science and Art departments with The Revolving Museum (located in downtown Lowell, MA). The program exists in many forms; a four-credit undergraduate course open to anyone at UMass Lowell, an after-school workshop for high school students, summer workshops for educators, and week-long summer camps for middle school students. A project supported by the National Science Foundation, as part of the Broadening Participation in Computing program. 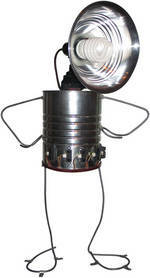 An exhibition and fair that's open to robotics, technology, and art enthusiasts of all ages. 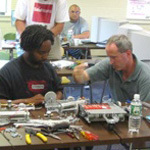 A set of workshops are held to help teachers introduce robotics materials to their classrooms in a non-competitive way. 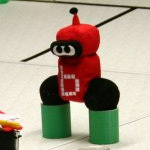 The Botball Educational Robotics Program engages middle and high school aged students in a team-oriented robotics competition based on National Science Education Standards.